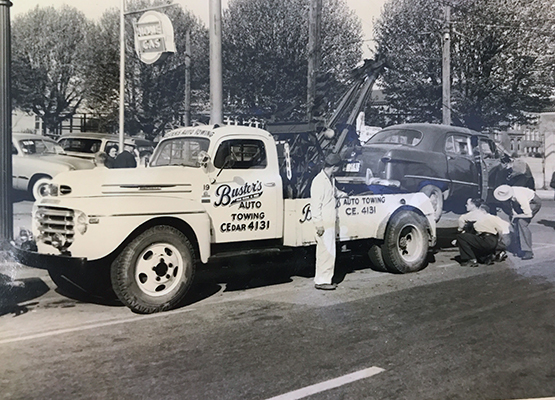 Busters Towing has proudly been serving Vancouver since 1946. We are trusted towing professionals with the largest fleet of light, medium, and heavy duty tow trucks in Western Canada. We thought we’d dig deep into the photo archive and share some memories from over the years. 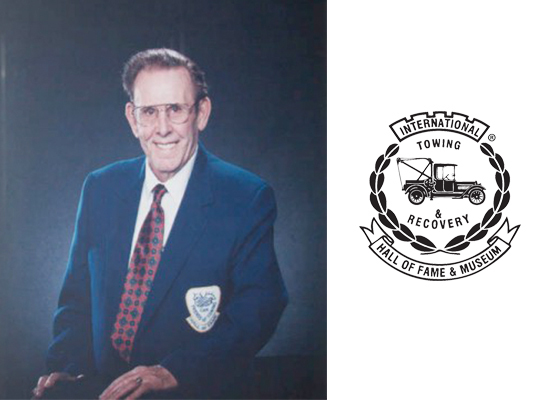 Inducted into the International Towing And Recovery Hall of Fame & Museum on May 8th 1992. Buster was born April 21st, 1912 in Saskatoon, Canada. 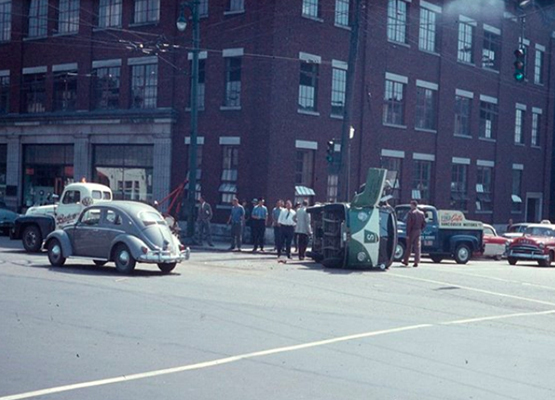 He went on to marry Mildred Maunu in Vancouver in July 1936 and have two children, Marlene and Dale, who are also in the towing industry. 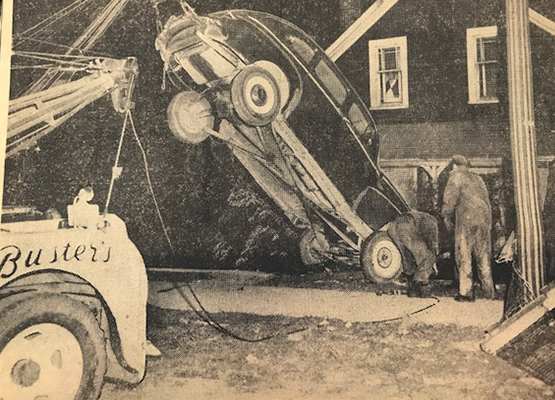 Buster answered an advert in a Vancouver newspaper in 1939 to become a tow truck driver for Vancouver Auto Towing. 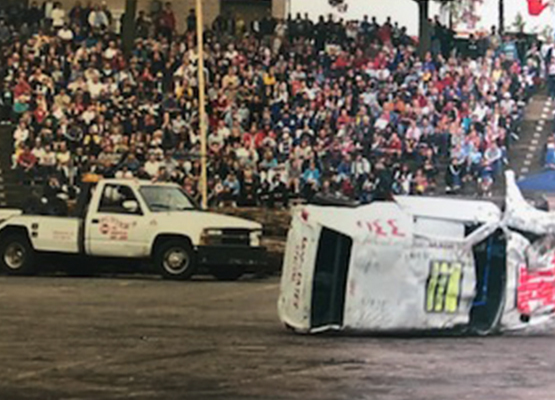 Six years later he joined with a local salvage firm to install a Manley hand crank unit on a surplus military chassis as a means of dealing with the many vehicles that had fallen into disrepair during the war. 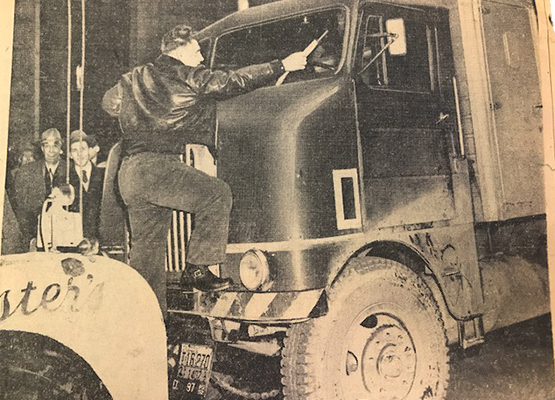 In 1947 he purchased his first modern wrecker, a Holmes Model 490 and installed it on a 1947 short wheelbase, 60″ CA Cabover Ford chassis in order to negotiate the many narrow street bridges in downtown Vancouver. 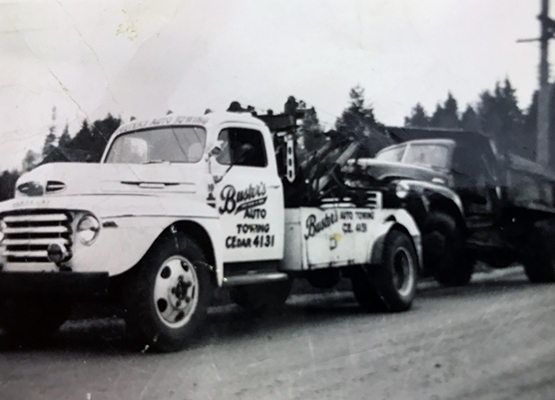 Buster then went on to build what was to be the largest privately owned fleet of Holmes towing equipment in the world. 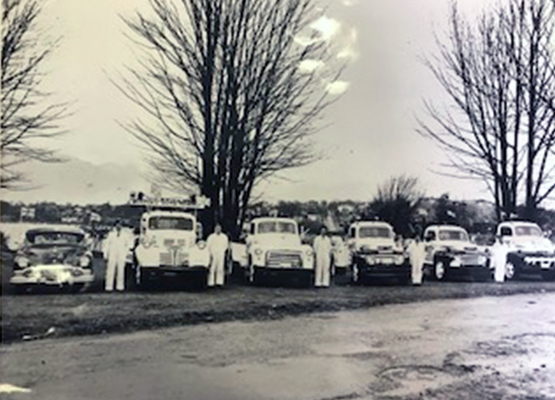 Located in Vancouver’s False Creek Flats, Busters Towing has proudly been serving Vancouver for over 70 years. 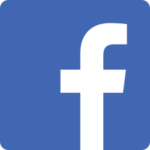 We are trusted towing professionals with the largest fleet of light, medium, and heavy duty tow trucks in Western Canada.